KISA, representing the “Country of the morning calm,” is a non-profit organization of sommelier that moves, evolves, and progresses in big steps. When it joined A.S.I. on July 12, 1997, there were only 50 members, however, now its members count up to 520. Its goal is to develop professional competence of Korean sommeliers and to contribute to the enhancement of their better social recognition. In addition, it makes efforts to ameliorate the nutritional diet of a population by spreading more precise and profound knowledge of wine and implanting a culture of wine in the Korean society. KISA accomplishes many activities in order to obtain its goal : apprenticeship and internship for the education of sommeliers, arrangement of qualifying examinations and continuing education, arrangement of regular seminars on wine of different countries, organization of National Sommelier Competition for International and Regional Competition of A.S.I., promotion and presentation of wine for the public, globalization of Korean wine and traditional alcohol, information exchange among its members, and publication of books about wine. On 2003, KISA created a year-long course (192 hours in total) at the Department of Hotel Management of Kyunghee University for young sommeliers, hoteliers, and students of hotel management or culinary studies. For the moment, it offers an educational program for sommeliers in additional universities (Jeonju University, Youngdong University, Korea Tourism College). Moreover, it oversees courses organized by diverse institutions such as wine school, hotel, and coffee education center. KISA also organizes semi-annual seminars (in June and December) in cooperation with the department of hotel management at Kyunghee University and Wine and Sommelier Society of Korea. These seminars allow young sommeliers and university students to attend conferences run by sommeliers and globally renowned wine specialists. 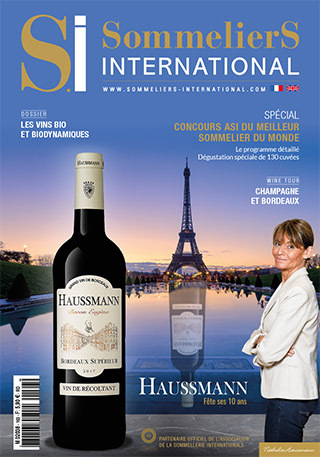 Since 2005, it organizes the National Competition to select the candidate who will participate in the World Best Sommelier Competition of A.S.I. Since last year, in an effort to attract more public interest and prepare aspiring young people to be great sommeliers, KISA also conducts the competitions of amateur sommeliers and student sommeliers. Another piece of delightful news! February 1st 2009, KISA was approved by the Korean government as an incorporated association. KISA will pursue its efforts to diffuse the culture of wine and integrate Korean sommeliers and wine professionals into international fields. It is also ready to better inform the world about traditional drinks, Korean gastronomy and wine.